Kinsman makes its TV debut on House Rules! 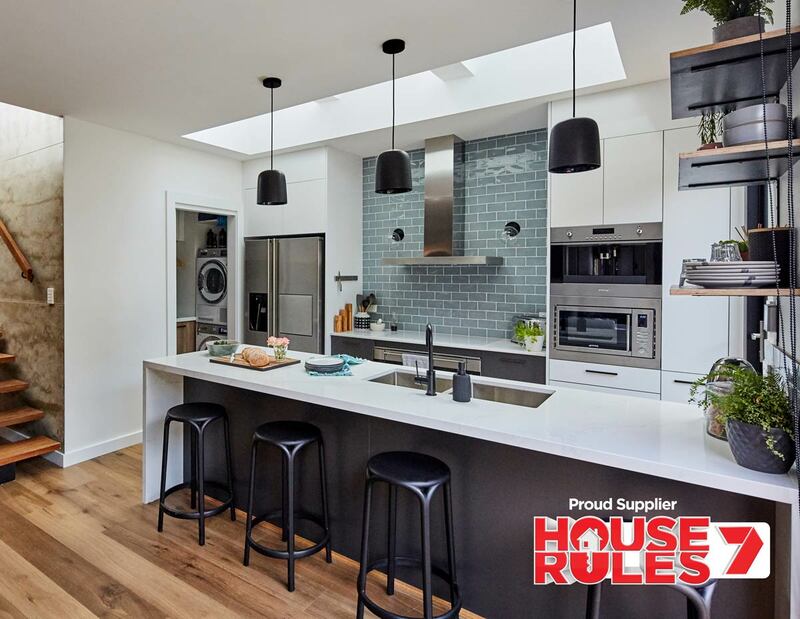 Home/Blog/Kinsman makes its TV debut on House Rules! Kinsman was seen on TV screens by Australian viewers for the first time on Monday night, launching with the new season of House Rules on Seven. 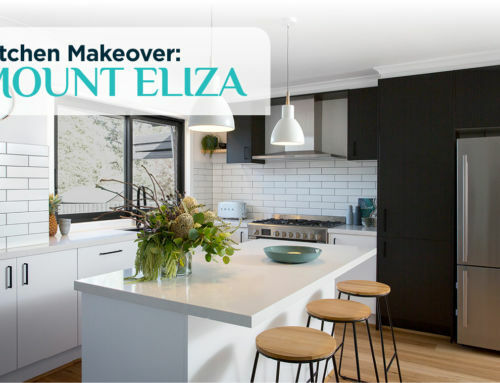 The excitement continued in last night’s episode, with the first reveals of an entire house in Rosebery, Sydney renovated for auction – and the resulting profit becoming prize money for the ultimate winners at the end of the series! 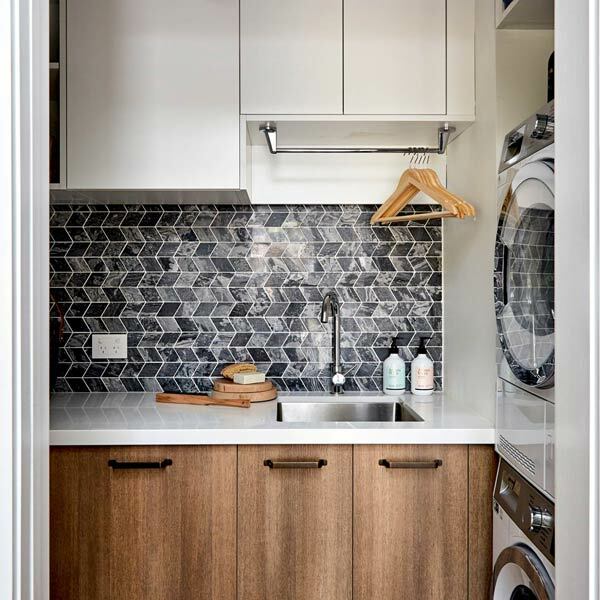 The new season of House Rules sees seven teams compete to renovate each other’s homes, with fast-paced challenges that see them designing seven Kinsman kitchens and laundries to a set of ‘rules’ – each showcasing very different styles and various colours in cabinetry. They will also feature the new Silestone Eternal Range of colours by Cosentino. This new range of colours are available in both polish or suede finish for benchtop and splashback applications. 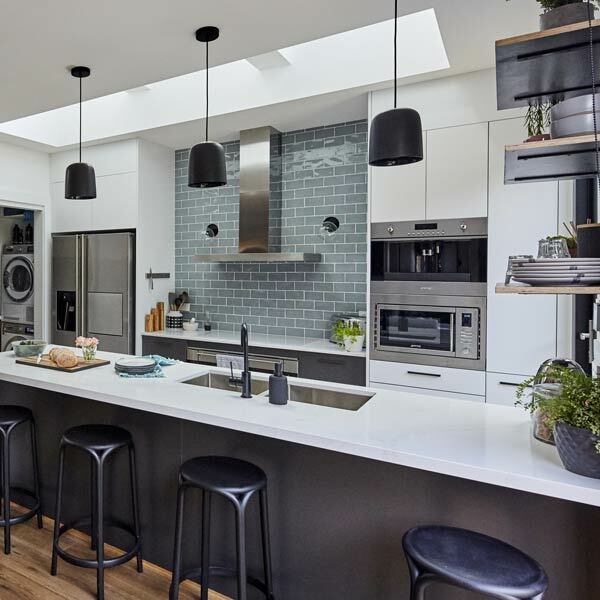 Silestone by Cosentino is the exclusive benchtop partner for Kinsman. 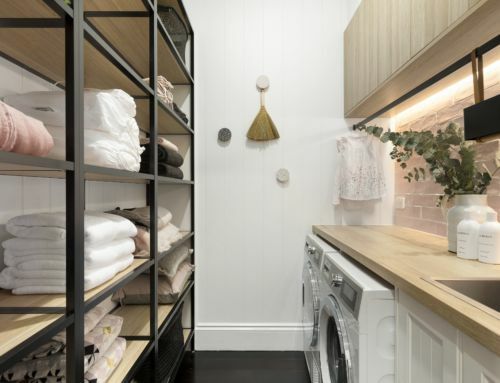 Last night’s episode showcased the first reveals of the auction house, with the brief of creating ‘contemporary luxury’ seeing the teams produce this Café Cool Kinsman kitchen and laundry which any Rosebery resident would love to live in. 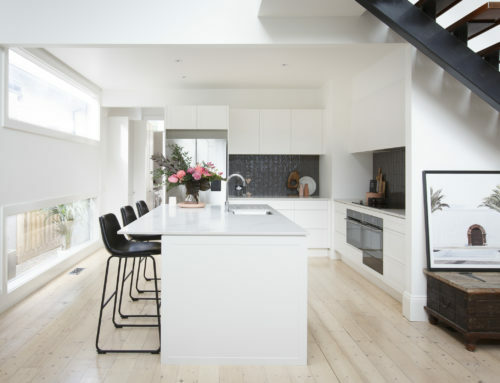 The kitchen made a particularly good impression on judge LLB, who said “…this is adding zeros to the house”. 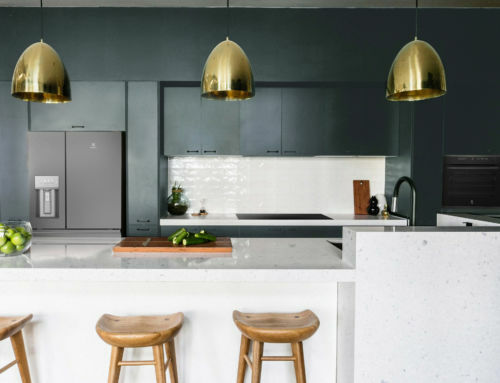 At auction, the teams’ efforts payed off with their newly renovated Rosebery home selling for $1.605m, equating to $355,000 in profit and prize money for this year’s House Rules winners!  For full product details on the cabinetry and benchtop colours, download our latest Catalogue here.